Where Did the “Us” in Trust Go? “Where’s the us in trust gone?” I was listening to this song this past week and of course that particular lyric caught my ear. The song describes a person who has done something to damage a love relationship and is lamenting the pain of the breakup. It got me thinking of the inherent one-to-one nature of trust. 2. Trust cannot be demanded; it must be granted willingly — Trust, just like love, commitment, loyalty, and other relationship dynamics cannot be forced upon someone; it must be given. Each person is unique in regards to how they grant trust to another. Some have the philosophy of “I’ll trust you until you show me I shouldn’t” while others have the approach of “I won’t give you my trust until you earn it.” Our propensity to trust is shaped by many factors including our level of psychological and emotional maturity, risk tolerance, the balance of power in the relationship, childhood experiences with trust, and our morals and values. Regardless of how a person is “wired” to trust, you can’t demand they give it to you. They must decide on their own to give it to you. 3. 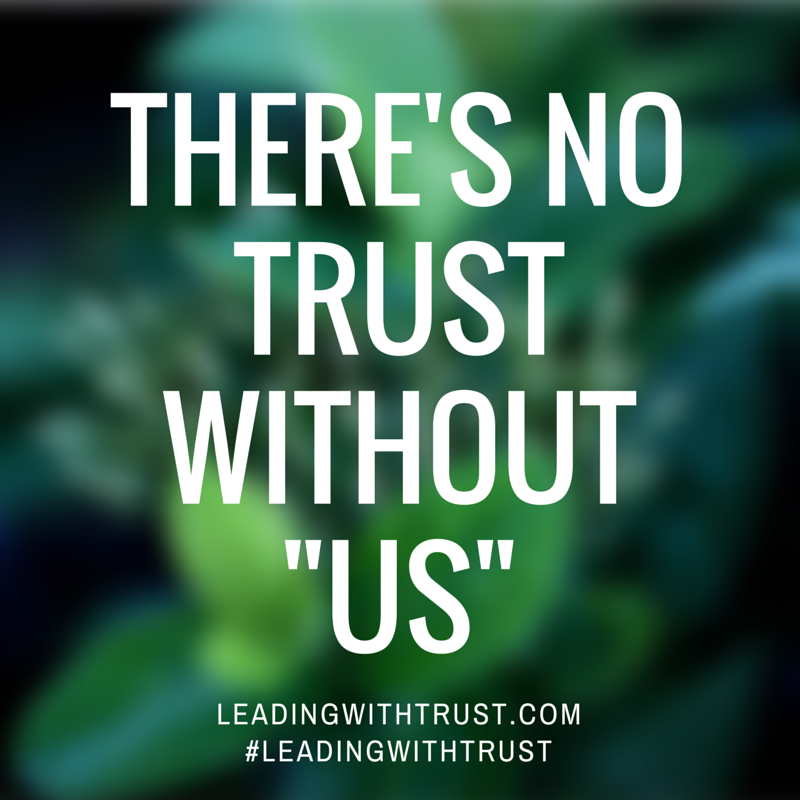 Trust must be nurtured — Trust is not a one and done sort of thing. You don’t give or receive it and then forget about it. You must constantly protect and nurture it in order for it to deepen and give life and endurance to the relationship. Trust sustains relationships through the tough times. It’s the element that breeds safety and security in a relationship so each person knows that no matter what happens, I can trust you won’t hurt me or take advantage of me. In the garden of relationships in your life, trust is the water that keeps them growing, blooming, and maturing to fullness. Without trust those relationships will wither and die. Unfortunately, too many people only think about trust when it has been broken. Don’t let that be you. Never lose sight of trust and keep working to make it stronger day by day. There’s no trust without “us.” You and me. Two people willing to take a risk and make themselves vulnerable to each other with the expectation the other won’t take advantage. We don’t demand it of each other, but we give it willingly because the other person has demonstrated their trustworthiness over time. And we constantly nurture the trust in our relationship so it continues to grow over time and works in a reciprocal fashion to constantly strengthen itself. That’s the “us” in trust.